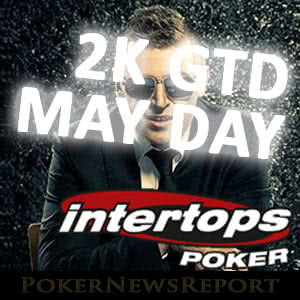 Intertops Poker has added a special May Day holiday tournament to its schedule for next Monday and is currently running a range of satellite qualifiers. 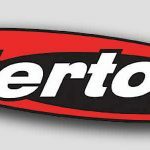 Intertops Poker may be one of the quieter US-facing poker sites, but it does have one of the best VIP loyalty programs in the industry, some decent promotions and – from time-to-time – the site hosts a valuable tournament or two. 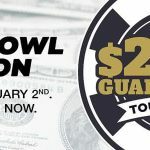 To put the term “valuable tournament” into context, the highest guarantee usually attached to any of the site´s events is $2,500 in the Sunday Sundowner. However, next Monday, Intertops Poker has added a special May Day Holiday tournament with a guaranteed prize pool of $2,000. The special May Day Holiday tournament gets underway at 6:30pm EDT (10:30pm GMT). It has a buy-in of $22.00 and up to one hundred re-entries allowed during 3½ hours of late registration (that should cover the guarantee!). Players start with 10,000 chips and the blinds rise quite steeply every fifteen minutes. By the end of late registration, players entering or re-entering the tournament will have the equivalent of 2½ big blinds (Level 14: blinds 2,000/4,000 with a 400 chip ante). The likelihood is this is going to be a very popular tournament because of its structure, its buy-in to prize money ratio, and because Intertops Poker is running a range of satellite qualifiers that give players the opportunity to qualify for the May Day Holiday tournament from just $1.10. Daily at 3:00am EDT (7:00am GMT) – $3.30 buy-in NL Hold´em R&A. One seat guaranteed. Daily at 9:00am EDT (1:00pm GMT) – $2.20 buy-in NL Hold´em Hyper-Turbo. One seat guaranteed. Daily at 3:00pm EDT (7:00pm GMT) – $2.20 buy-in PL Omaha R&A. One seat guaranteed. Daily at 9:00pm EDT (1:00am GMT) – $6.60 buy-in NL Hold´em Turbo. Two seats guaranteed. Monday 1st May at 3:00pm EDT (7:00pm GMT) – $1.10 buy-in “Last Chance” NL Hold´em R&A Turbo (500 starting chips and very steep blind structure). One seat guaranteed. Players who win seats in the satellite qualifiers have to register manually for the May Day Holiday tournament. Players who fail to enter the event before the end of the late registration period will forfeit their seat. There is no option to exchange the seat for cash or another Intertops Poker tournament. Intertops Poker is one of the last major online poker sites to still distribute Frequent Player Points (FPPs) using the dealt rake method. This is great for tight players who prefer to sit and wait for premium hands in cash games, as it means they receive points just for being dealt into a hand. For each 100 FPPs a player receives, he or she is awarded a Gold Chip. Gold Chips can be converted into a no deposit poker bonus of up to $100.00 – effectively free poker money just for playing solid ABC poker. FPPs are awarded at the rate of 1 per $1.00 raked in cash games or 7 per $1.00 paid to enter an Intertops poker tournament or Sit & Go game. The site also gives away $4,000 each week in an FPP race, and the FPPs collected at the tables can be used to clear no deposit bonuses or Intertops Poker´s first deposit bonus of 200% up to $1,000. New players also get access to dozens of freeroll tournaments each week giving away thousands of dollars in cash prizes and tournament entry tickets.